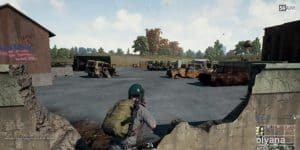 PlayerUnknown's Battlegrounds Hits 5 Million Sales | Nerd Much? It’s not just a small indie game with a small player base, oh no. PlayerUnknown’s Battlegrounds has apparently reached the height of 5 million copies sold. Since Battlegrounds has only been available in Early Access for four months, this is quite the remarkable feat. That’s over a million copies per month. The number comes from Steam Spy, a stats website that organizes statistical information from Valve (like data from user profiles) and turns it into comprehensive speculative graphs and lists. The idea is to help indie developers, journalists, students, and anyone interested that might not have a degree in statistics. That said, Bluehole studios has yet to officially announce any numbers regarding the sales of their game, but hopefully with such a big number on the horizon, we’ll hear from them soon. If nothing else, it’s a great sign of success and a boon to fans that hope the updates keep coming and the game is constantly improved every month. Indeed, the next update will include vaulting and climbing animations, for those that get stuck behind a waist-high wall one too many times. For a much harder mode, the update will also include first-person perspective only servers. Just in case the game wasn’t already hard enough for you. If you haven’t already, I highly recommend trying Battlegrounds with a few friends. Even if you don’t last very long, it’s fun to at least try. Also, role-playing a little is a great deal of fun if you feel up to that. Kind of ends up like the Survivor TV show that was popular in the early 2000s in terms of drama and silliness. Battlegrounds is currently only available on Steam and is still in Early Access. The developers have stated that the game should come out of it by the end of the year, and hopefully on Xbox One as well. As of yet, no other systems have been confirmed.